Hello everyone! 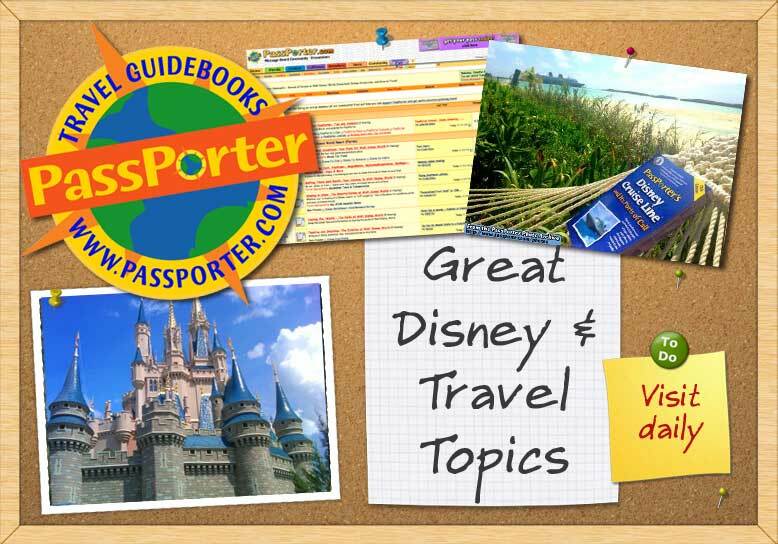 My name is Terri and I am so excited to be a guide in the “Globetrotting”, "Central Florida" and "Disney Cruise Line Trip Reports" forums on the PassPorter Boards after being an active member since April 2003 (My how time flies . It is so easy when you are having fun!!!). According to my mother – my first trip to Walt Disney World at the age of 5 years old in 1975 was a bribe to get me to agree to move to Florida. I told my parents (who were active duty military at the time) that I did not want to live in a state with alligators that could eat little girls (courtesy of a story told to me by one of my Dad’s friends… ) my mother also told me that Florida was where Mickey Mouse lived. So – we went in January 1976. I made 4 or 5 more trips prior to 2000, and have to admit – I was not hooked. I ran my first marathon in October 2000 – and had registered for my first Disney marathon before I had finished my first race. I ran the marathon at Disney and was in love with Disney races. I started with the saying that “I come to Disney to run races” which eventually evolved into “I run races to come to Disney”. After that – I was hooked. I had fallen in with Disney. I moved to Florida in November 2001 for a job transfer, and have been to Disney World more than 35 times since then (43 lifetime total and counting), as well as five Disney cruises (with two more booked! 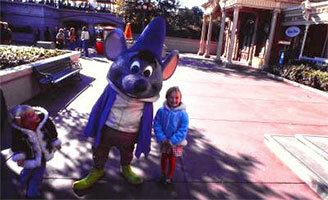 ), two trips to Disneyland and I became a Disney Vacation Club member in 2007. I love to spend 3-4 day weekends at WDW and meet up with PassPorters. I’ve met some wonderful people on these boards who are some of my closest friends. I have to thank the boards for bringing those people into my lives. Traveling is one of my passions and that is a good thing since in addition to personal travel, I also travel a fair amount for work. I visit my parents in New Mexico at least once a year, and try to spend at least one holiday with my niece and nephew in Oregon – who I love to spoil rotten (benefits of being an aunt!!!). In addition to NM and OR I like to travel to places around the US and the world that are rich in history and like to travel for genealogy research as well. I was raised for part of my childhood in northern Europe, took the 2007 Disney Mediterranean cruise, as well as transiting the Panama Canal on the Disney Magic in 2008 . I am married wonderful man and we just completed a Disney transAtlantic cruise in April 2010 (he is learning to love Disney as much as I do - or at least fake it!). I have been a marine biologist with the Federal government since 1994; as well as teaching at a couple of local universities. I really enjoy “both” of these jobs. I have been able to travel a great deal for work, helping to develop important infrastructure projects for the nation’s economy in the most environmentally friendly manner possible, and teach adults that are coming back to school to complete their Bachelor’s degrees. I am really enjoying teaching Introduction to Environmental Science (and may be adding other environmentally based classes soon) to the adults - they are extremely engaging and are aware of some of the things that are going on around them. I look forward to seeing you around the boards!!! Swing by my forums and say Hi!!! ((¸¸.·´ ..·´ -:|:- Terri -:|:- ~~°O° My Guide Bio!! "Central Florida Attractions", "Disney Cruise Line Trip Reports" & "Running at Disney" Forums. Last edited by DrDolphin; 05-03-2010 at 01:29 PM..